Try our Gowns on in your mind and imagine the experience. The fit is perfect. The rush of confidence that floods through you when the zipper finally reaches the top is exhilarating. Our Gowns are so beautiful they have been known to start and stop a conversation at the exact same time. They regularly turn heads, weaken knees, and raise blood pressure. In short, when you decide to wear a Deemas Fashion Gown to your next event, you can check off, “Be the most striking person in the room” on your to-do list. 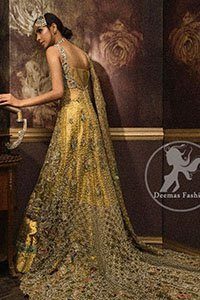 In our Deemas Fashion Gown collection, designed by the inspirational Madiha Usman, you’ll find gorgeous and sophisticated dresses for all tastes, styles and moods. 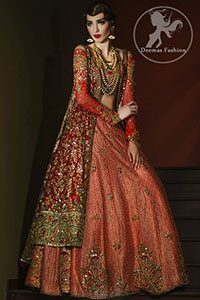 We have tea length and long flowing cuts, slinky figure-flattering dresses with provocative silhouettes, sweeping lehenghas with daring necklines. You’ll find plush seductive materials — silky crepe, creamy chiffon, luxurious organza, alluring embroidery. 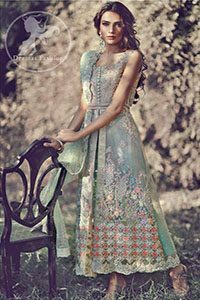 You will swoon over the intricate beading, stones, the delicate embroidery, the sensual appliqué. Try our Gowns on in your mind and imagine the experience. The fit is perfect. The rush of confidence that floods through you when the zipper finally reaches the top is exhilarating. The hush that fills the room when you enter it is very real. Okay, now stop imagining it, and live it.